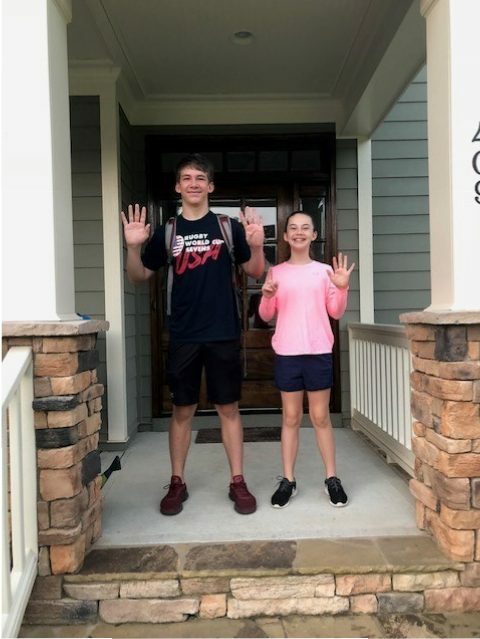 As we are embarking on a fresh new school year with a new 9th and 6th grader, I figure what better time than now to get back on track with our healthy habits that have fallen by the wayside over the summer. Perhaps it is even time to adopt some new routines! With both of my kids on new schedules and each starting school almost an hour earlier this year, we simply do not have time to pack lunches in the morning. This means that we must do away with the scrambling around minutes before the bus arrives to throw items into the lunchboxes. Additionally, we have hit new milestones this year by starting high school and middle school. With these new milestones comes new responsibilities. Can I get a “HOORAY!”? Take the kids to the grocery store to pick out their choices for healthy breakfast and lunch items. When they get to choose, they are a lot more excited to make it for themselves, eat it, and pack it in their lunch. Set aside some time to gather input from family members to plan the week’s dinners. While the kids are at the store choosing healthy breakfast and lunch items, you can pick out the dinner items and the shopping trip becomes so much quicker. Establish the expectation that the kids will pack their own lunches the night before. We started this routine in my house and so far the process has gone swimmingly. When the lunch assembly line is completed in a stress-free timeline, it is amazing how much more enjoyable it can be, and fast too! Just think of the stress-free morning you will have tomorrow. While the kids are packing their lunches, use this time to also pack your own healthy lunch for the next day. Your next morning will be off to a great start with another to-do item checked off the list before you even roll out of bed.